I have a client whose organization requires a watermark logo on every slide. It’s awful and he knows it. Instead of using the given background which includes the watermark, he reproduced the background — a simple gradient — without the watermark. Then he adds the watermark to the slide master. It’s there, but as a separate image. 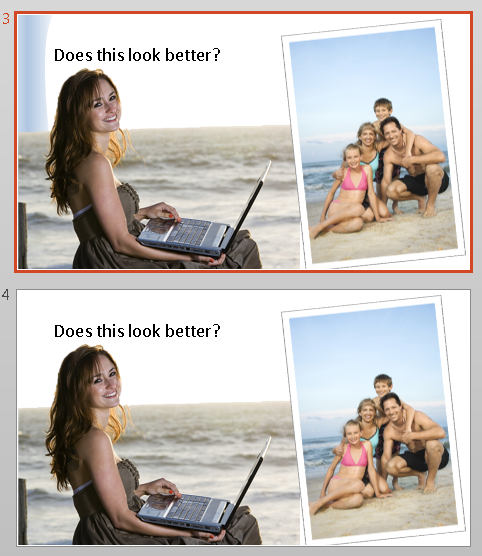 Then, on any slide where the watermark interferes with clarity, he hides the background graphic. 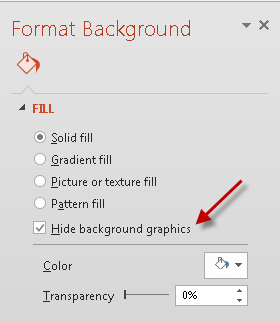 You can do this with any type of graphic that you might want on some slides but not on others. Here, you can see that the blue shape on the left looks fine for the first 2 slides, but not on the 3rd slide. That’s all there is to it! Here’s the slide with and without the blue shape. When you use big graphics that go to the edge of the slide, many background graphics just look clunky. So, get rid of it! 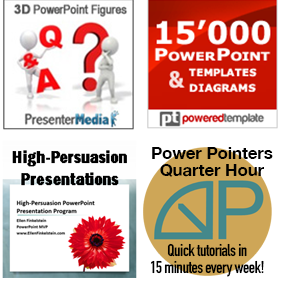 Do you use this feature of PowerPoint? Leave a comment!